Italian breads are some of the most well-known and well-loved continental varieties. 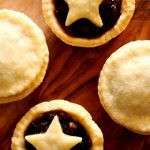 This course will cover three classic and versatile recipes. Students will work on all the doughs by hand individually, learning a range of core techniques to get great results at home. Your tutor will demonstrate how to make a delicious homemade tomato sauce packed with fresh flavour, and personalise their pizza with a selection of tasty toppings. 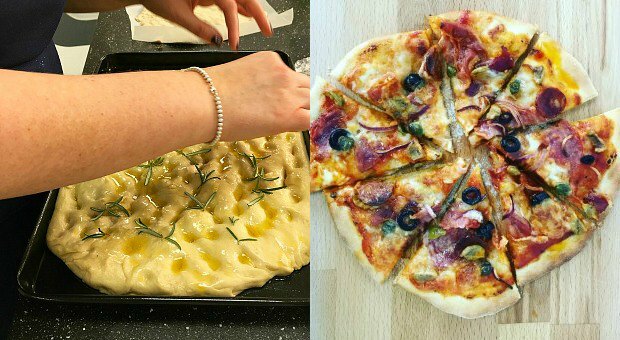 Please note that students will shape and bake a pre-prepared dough, but will work on their own during the course of the day to take home – meaning lots of chances to practice and eat! I had a private all day course with Sarah and learnt how to make bread, baguettes, bagels and doughnuts. Sarah was great at explaining the methods to me and I came home confident I would be able to do everything by myself. The kitchen is lovely and everything is kept immaculate! I had a lovely time and am looking forward to booking on to another course soon!